It enables the instrumentation of complex and high-performance environments by capturing and orchestrating metrics from software applications, physical devices or business logic. This is a real API call. Register for free and see it working. Obtain vertical in-depth insights about how your systems perform. Use the Statful HTTP API and open source clients to send custom application metrics, or use standard industry open source collectors to seamlessly send metrics from devices, systems, applications or business. Use your favorite language or tool to send custom metrics to Statful scalable infrastructure. We take care of all the maintenance. You don’t need to install Statful on-premises, but you can opt on having an independent and dedicated data storage. 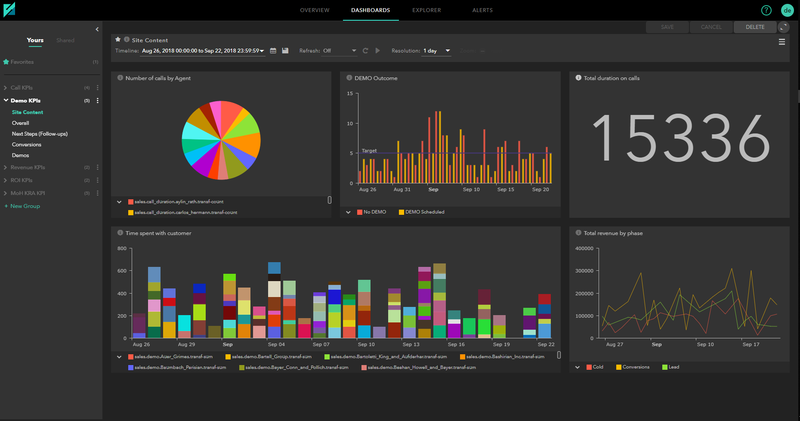 Build real-time dashboards with high-resolution metrics and events visualization. Display dashboards on large screens with TV and auto-refresh mode. Share widgets between dashboards and easily change dashboard data, by applying different metric configurations or defining timelines to fine-tune visualization. Associate multiple custom tags to metrics and visualize them grouped or filtered. With tags you can group metrics across different dimensions without modifying the way metrics are collected. Explore metrics in a simple yet powerful way, by applying aggregation and transformation functions, selecting groups of tags or comparing with custom baselines. 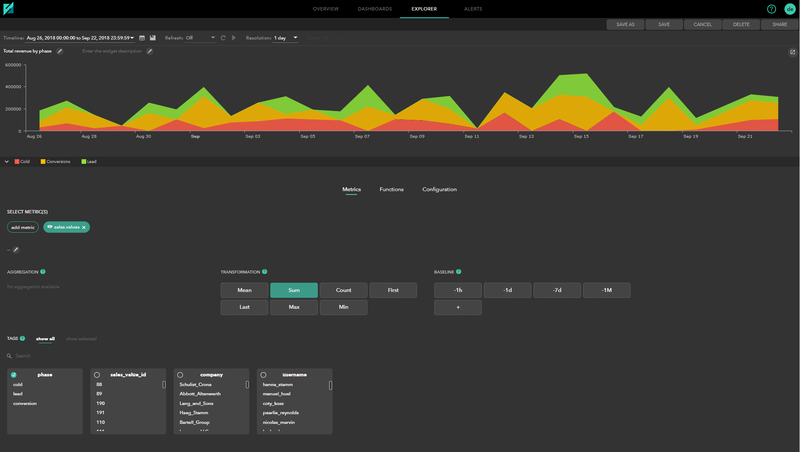 Easily create and customize graphs and associated options. Build alerting rules in a flexible and integrated UI and be alerted when a metric crosses a threshold or suddenly stops reporting. Get ahead of an incident by receiving real-time multi-channel notifications! TVG is a betting online application that sends up to 150k metrics per second at peak and averages around 20k metrics per second to Statful on a daily basis. Statful is helping TVG with immediately taking over the difficult and time-consuming task of manually monitoring systems, applications, and key business performance indicators. Sign up in less than 30 seconds. Try out our risk-free trial, upgrade at anytime, no questions, no hassle. Usage will be measured every month and in case of increase/decrease pricing is adjusted. What happens if bursts occur? Will you be charged for it? Occasional peaks or bursts of data that are not typical may occur. We get 10% off the average value of Datapoints Recv/Sec calculated by month. By default accounts are created in multi-tenancy storage. You have the option of having your own account in a private tenant. Looking for a custom support solution more adequate to your needs? Please contact us.